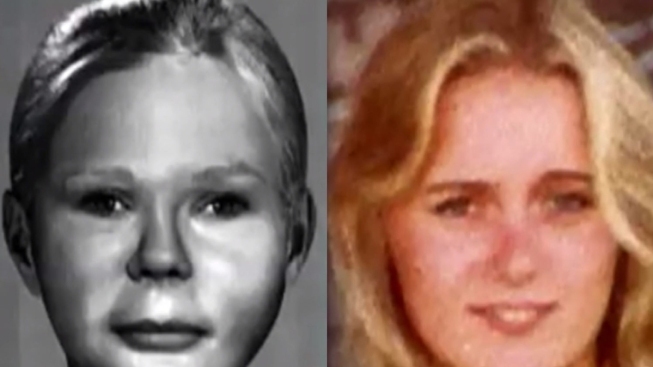 A New Hampshire woman has been identified as the victim in a 34-year-old cold case in Arizona. Authorities in Tucson say Brenda Gerow, of Nashua, was the woman found brutally murdered near the Pima County Fairgrounds in 1981. Her body was exhumed in 2012 so investigators could use her skull to reconstruct her face. Gerow was about 20 years old when she left with John Kalhauser, who is currently serving time for the murder of his estranged wife. Detectives say Kalhauser had a picture of Gerow when he was convicted of killing his wife about 15 years after Gerow's disappearance. Police say he is now a person of interest in her murder. Gerow's remains have been released to her family.